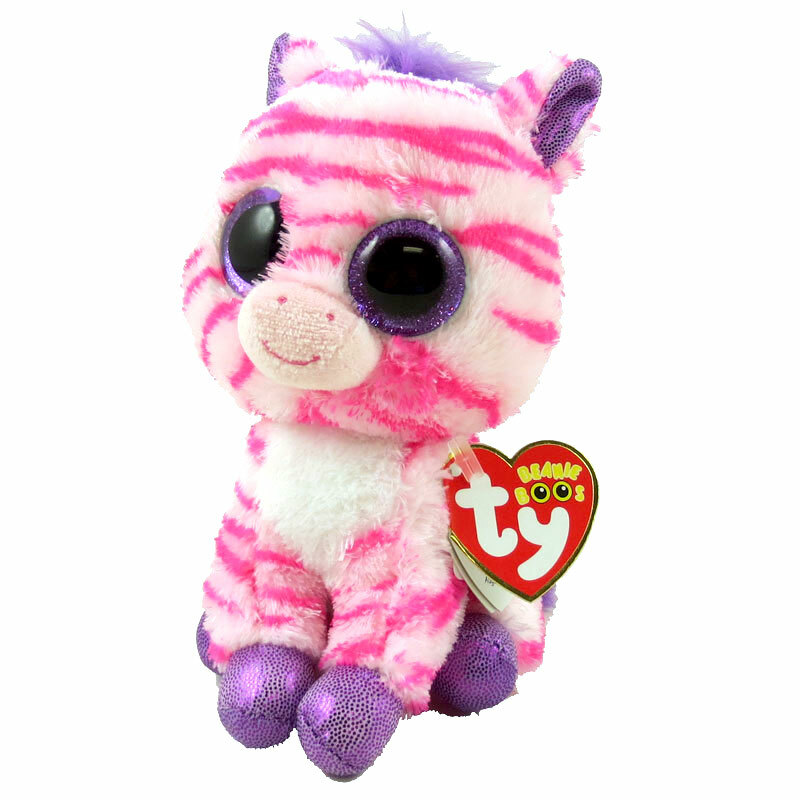 Zazzy is made from a fuzzy, pale pink material with bright pink stripes. Her ears and hooves are glittery purple and she has a fluffy purple mane. She has large, sparkly purple and black button eyes. Look for pink stripes and you’ll know it’s me! Zazzy the Zebra appeared unannounced on 17th October 2013. She was exclusively available in Claire’s Accessories stores and released alongside Bubbly the Owl.